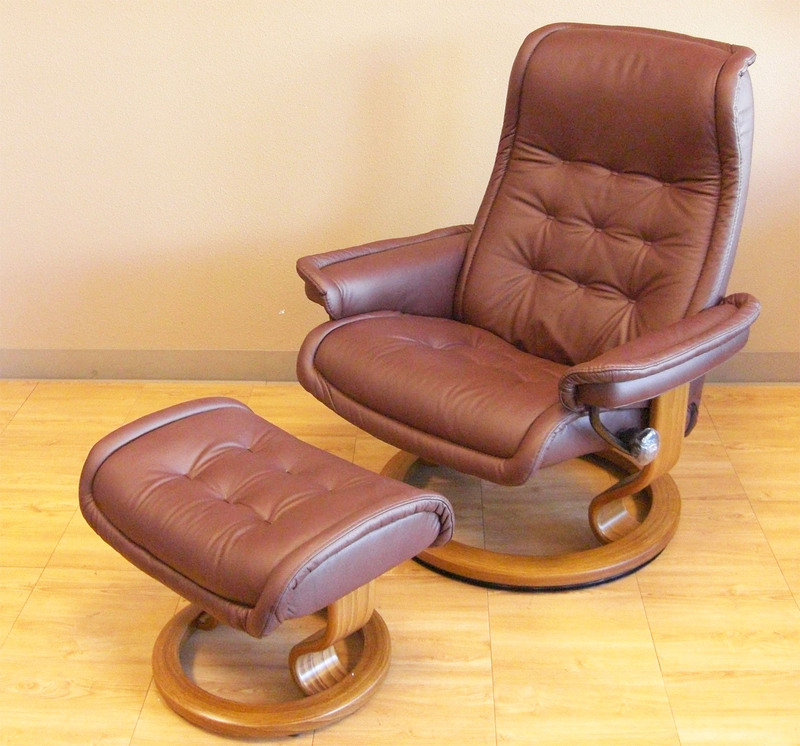 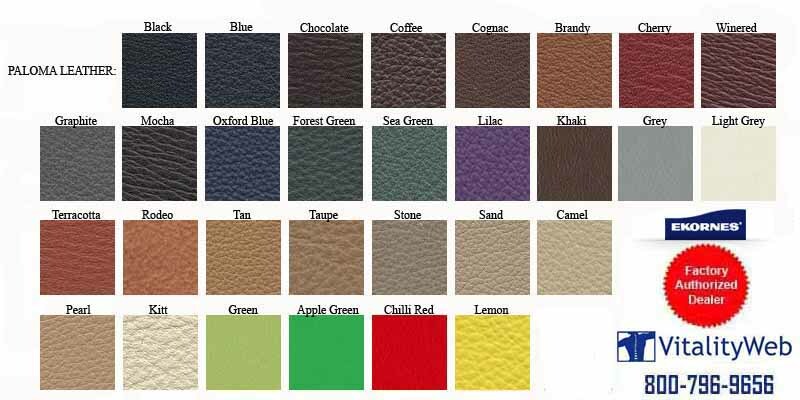 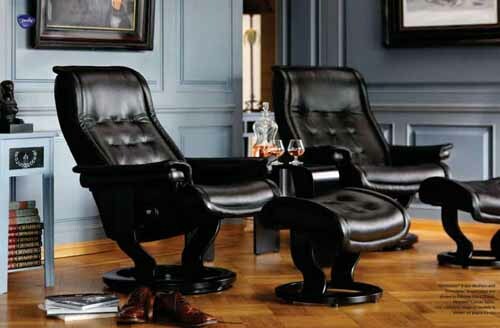 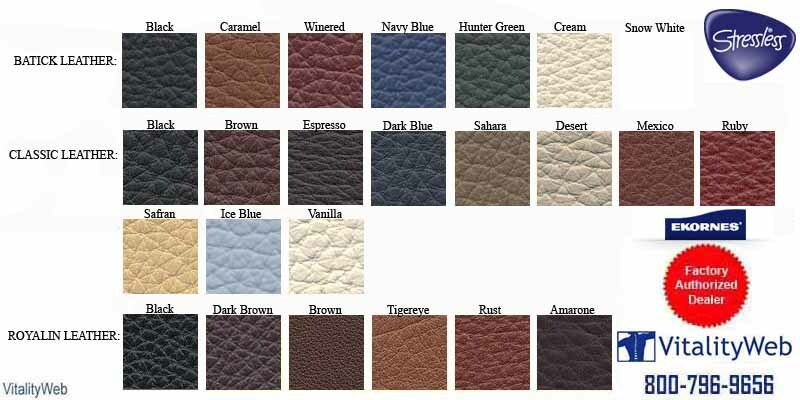 Stressless� Royal (Medium) � Royal (Large) from Ekornes. 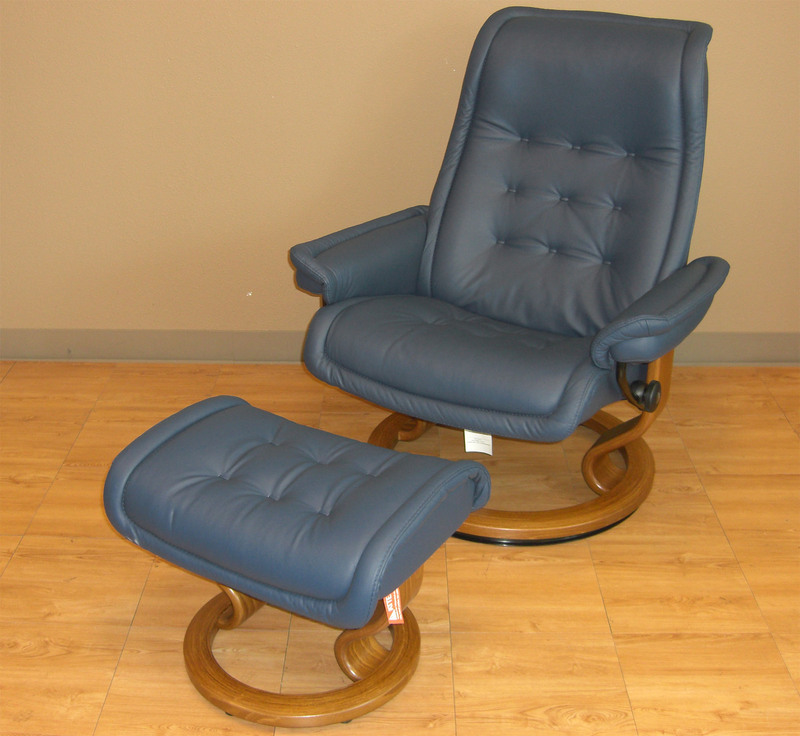 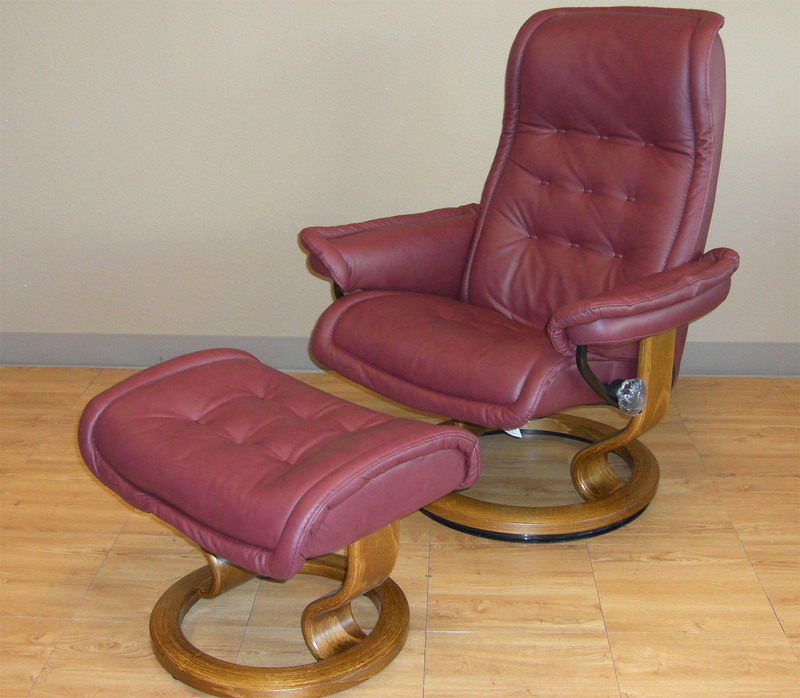 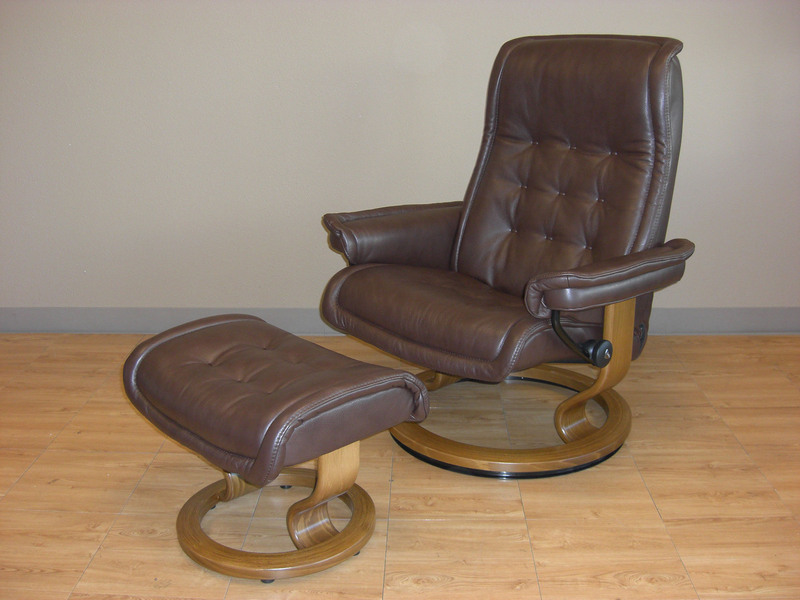 The Stressless� Royal was introduced in 1981 and is still one of our most popular recliners. 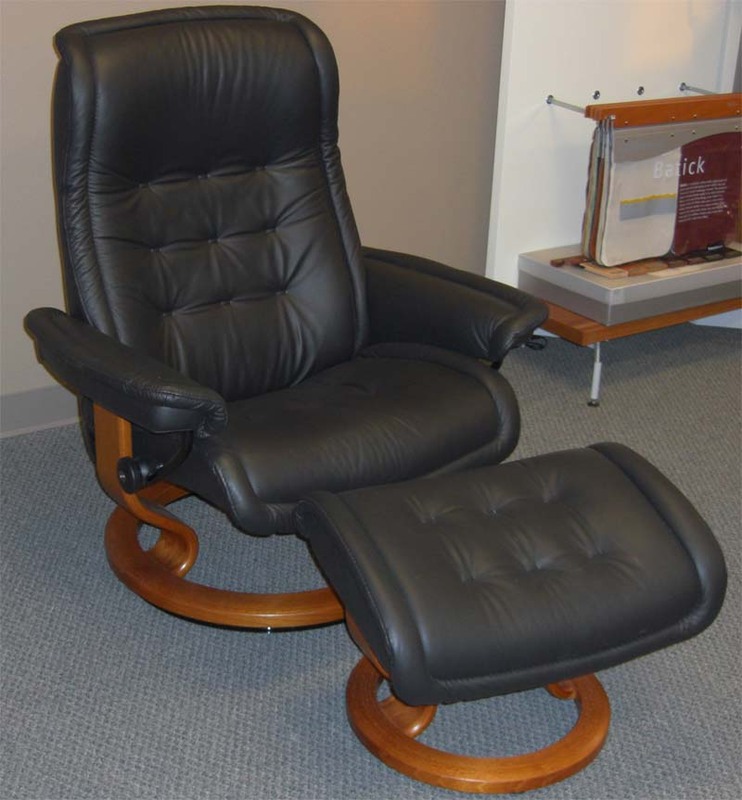 Both the recliner and the free-standing footstool come with the Ekornes patented glide function which follows your body's slightest movement to provide perfect support and comfort, you can turn a full 360� in a Stressless Royal recliner.